I missed this album the first time round in 2002, not too long after the crash and burn of the so-called Third Wave ska scene in the United States (which, no doubt, is why it was only released in Italy and Spain). So, it's great to have a chance to be introduced to this really fine record over fifteen (!) years later. If you don't know this band, NY Ska-Jazz Ensemble began back in 1994 as a super-group of sorts, made up of members of The Toasters (Fred Reiter, Jonathan McCain, and Rick Faulkner), The Scofflaws (Victor Rice, Carey Brown), and The Skatalites (Devon James), all of whom wanted to highlight jazz's considerable influence on/relationship to traditional ska music. Minor Moods is NYSJE's fourth studio album (and by this point in the band's history, only "Rock Steady" Freddie Reiter remained from the original line-up). 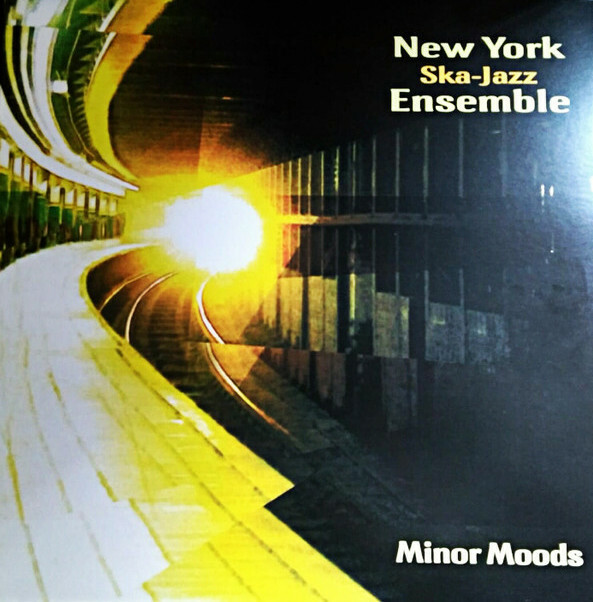 Like all of NYSJE's albums, Minor Moods contains both more than credible ska interpretations of jazz standards (in this case, Thelonious Monk and Denzil Best's "Bemsha Swing"--its title is from a nickname for Best's home of Barbados--and Miles Davis' Middle Eastern-sounding "Nardis") and top-notch ska-jazz originals. In particular, "Zinc," "This I Like," "Brain Freeze," "Kaneho," and "Sticks" all have memorable melodies and hooks (in addition to Reiter, guitarist Andy Stack, and keyboardist Peter Truffa each composed several tracks for this album); two cuts here are also reprised from earlier records: "Mouse," Reiter's tune inspired by the theme to "Mighty Mouse" first appeared on The Toasters' Hard Band for Dead; and a cracking live version of their own "Buttah" is from the 1998 Get This album). The vocal tracks are a bit weaker--this is really an instrumental group (and their musicianship is off the charts! ), but they do get major points for the pro-multiculturalism/pro-immigration song "Streets of NYC."